This article was peer reviewed by Aleksander Koko . Thanks to all of SitePoint’s peer reviewers for making SitePoint content the best it can be! A popular choice is FMDB, an Objective-C wrapper around SQLite. Its easy to use, but personally I prefer to not use hard-coded SQL (Structured Query Language) commands. 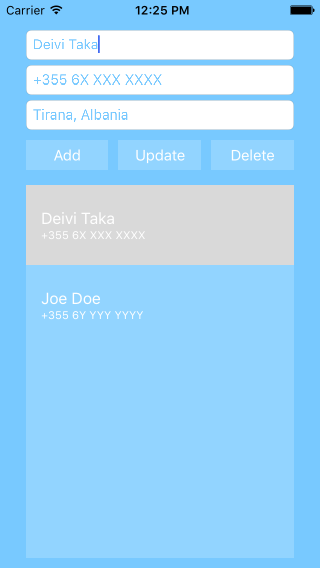 For this tutorial, I will use SQLite.swift to create a basic contact list. First, create a new single view project in Xcode (SQLite.swift requires Swift 2 and Xcode 7 or greater). I created a ViewController in Main.storyboard that looks like the below. Create your own similar layout, or download the storyboard files here. 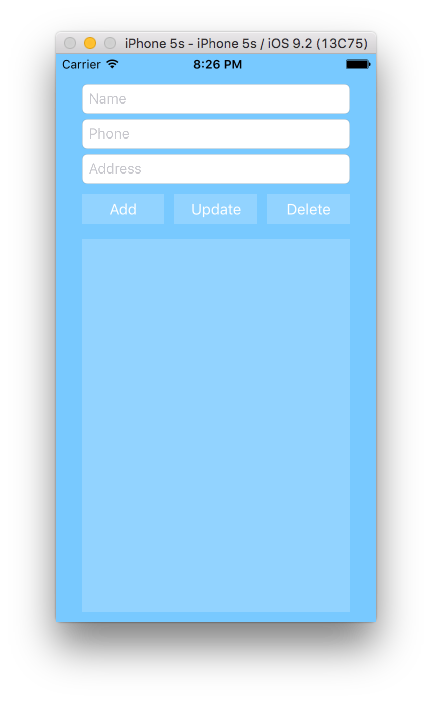 In ViewController.swift make the class implement UITableViewDelegate and UITableViewSource protocols. The app can now run, but there is no ability to add or edit contacts yet. To do this link the following IBActions with the corresponding buttons. Here you take the values of the UITextFields, and create an object which is added to the contacts list. The id is set to 0, since you haven’t implemented the database yet. The function insertRowsAtIndexPaths() takes as arguments an array of indexes of the rows that will be affected, and the animation to perform with the change. First, initialize an instance of the class, using the ‘Singleton’ pattern. Then, declare an object of type Connection, which is the actual database object you will call. The <- operator assigns values to the corresponding columns as you would in a normal query. The run method will execute these queries and statements. The id of the row inserted is returned from the method. If you want to undertake further debugging you can use a method instead. The prepare method returns a list of all the rows in the specified table. You loop through these rows and create an array of Contact objects with the column content as parameters. If this operation fails, an empty list is returned. 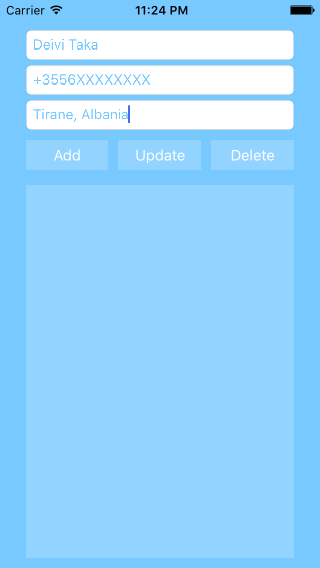 After setting up the database managing class, there are some remaining changes needed to Viewcontroller.swift.